Monday, October 4, 2010 \AM\.\Mon\. 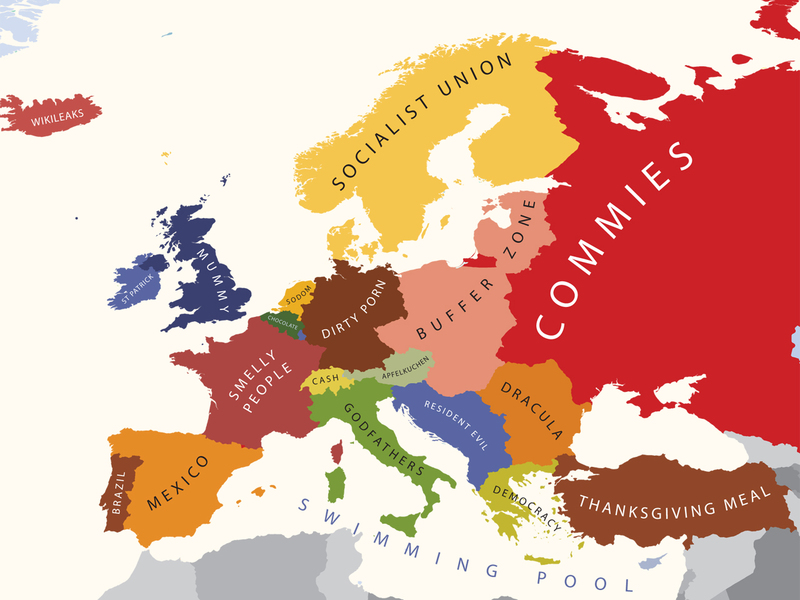 This is a somewhat humorous map of how Americans view Europe. 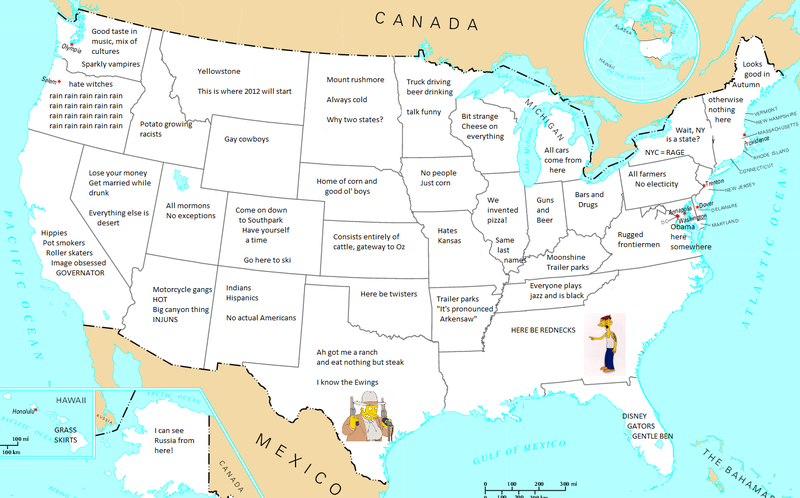 A Geography of Prejudice is one way of calling what Yanko Tsvetkov created. Friday, September 3, 2010 \PM\.\Fri\. This raises a crucial question: Is the US economy perhaps suffering less from an economic downturn and more from a serious structural problem? It seems plausible that the American economy has lost its belief in American principles. People no longer have confidence in the self-healing forces of the private sector, and the reliance on self-help and self-regulation to solve problems no longer exists. The opposite strategy, one that seeks to treat the American patient with more government, is risky — because it does not fit in with America’s image of itself. Friday, June 25, 2010 \PM\.\Fri\. The simple answer is of course “no”. Wikipedia states Sharia refers to the sacred law of Islam. All Muslims believe Sharia is God’s law, but they have differences between themselves as to exactly what it entails. Which will be difficult to discern what to apply when, but we’ll labor along for the sake of discussion. In Western countries, where Muslim immigration is more recent, Muslim minorities have introduced Sharia family law, for use in their own disputes. Attempts to impose Sharia have been accompanied by controversy, violence, and even warfare (Second Sudanese Civil War). The recent incidents at the Arab International Festival have reinforced the poor image of Sharia inside the United States and its incompatibility with American culture and law. Wikipedia states that Sharia judicial proceedings have significant differences with other legal traditions, including those in both common law and civil law.